The American Bulldog’s near extinction by the end of World War II led to the rise of two distinct bulldog breeds: the Johnson and the Scott American Bulldog. While the two may bear similarities, they possess distinct characteristics that appeal to different dog breeders. Distinct for its boxy head, the Johnson American Bulldog, popularly known as the “classic” American Bulldog, is a large, wide-chested bulldog breed developed by John D. Johnson during World War II. 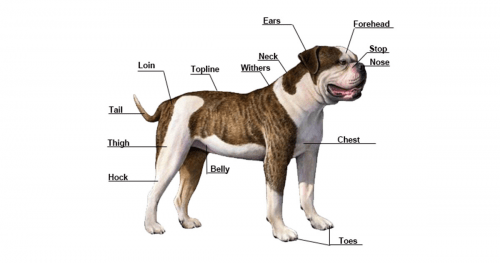 The Scott American Bulldog, on the other hand, is called the “standard” American Bulldog. It was bred by Alan Scott by the end of World War II, and it bears a strong resemblance to the American Pit Bull Terrier. Since they were bred from different lineages, it is not difficult to tell the difference between the Johnson and the Scott American Bulldog. By the end of World War II, John D. Johnson and his father saved the American Bulldog from near extinction by looking for ideal breeding specimens from the south. As the Johnson Bulldog breed slowly became established, Alan Scott joined Johnson to further revive the breed. Later on, as American Bulldog breeding practices progressed, Alan Scott developed a breed distinct from Johnson’s, which consequently led to the development of two different breeds: the Johnson and the Scott American Bulldog. 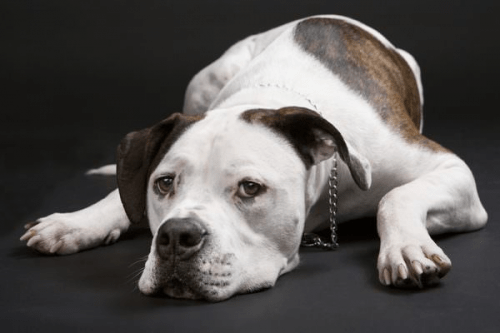 The Scott American Bulldog is a crossbreed between the early Johnson American Bulldog and non-Johnson bulldogs that originated from Southern farms. The later and more established version of the Johnson American Bulldog, on the other hand, is a cross between the old Johnson breed from the south and a northern English bulldog. The Johnson American Bulldog is also called the “classic” or the “bully” type. Meanwhile, the Scott American Bulldog is popularly known as the “standard” or “performance” type. Between the two, the Johnson American Bulldog is typically larger. It stands at around 23 to 27 inches at the shoulder, while the Scott American Bulldog’s height ranges between 22 to 27 inches. Since the Johnson American Bulldog is a crossbreed between an early English and American breed, it greatly resembles the English Bulldog. Unlike the Scott version, it is a wide-chested dog breed distinct for its boxy head and undershot bite. Also, according to breeding standards, the Johnson American bulldog’s lower teeth should not appear when the mouth is closed. The Scott American Bulldog, by contrast, has a narrow muzzle and head. It bears similarities to the American Pit Bull Terrier and it has slightly dropped jaws. It is unique for its “reverse scissors bite,” where the lower and upper incisors meet at the edges instead of overlapping when the mouth is closed. The Scott American Bulldog, which is the “performance” bulldog type, is athletic in build. As compared to the Johnson bulldog, its smaller frame and lighter weight enables it to engage in more physical activities, making it the ideal companion for dog owners with an active lifestyle.